Wong Wei Lung - WELCOME TO SG DRUM ACADEMY - THE ACADEMY FOR DRUM LESSONS, MASTERCLASSES, CLINICS AND BOOKS. 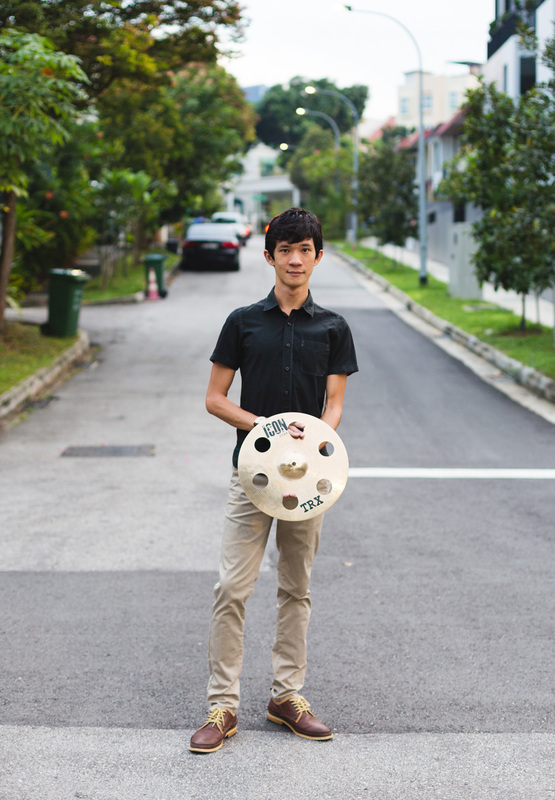 Wei Lung has been a drumset educator for more than 12 years, having taught at Sonata Music House, Yamaha Contempo Music, Crest Secondary School and Whitley Secondary School. And currently teaches at SG Drum Academy. On top of that, He has been sharing his drumming and music knowledge on YouTube with his popular channel "Art of Drumming HQ" and has amassed over 9000 subscribers and 500,000 views. Being an avid performer, Wei Lung has taken the stage with pop singer songwriter Tim Koh, rock cover band Full Circle, jazz fusion band To Ensemble, progressive metal band Test The Divide, performing in countries like Malaysia, New Zealand, Japan and Singapore in numerous music festivals such as Mosaic Music Festival, Singapore Night Festival, Light and Night Festival, Titian Budaya Festival in Kuala Lumpur. He also represented Singapore at the Singapore Youth Olympics in Auckland, New Zealand as the main band to play at the last leg of the Journey of the Olympic flame. His current band Test The Divide launched their debut album "SILVER" in 2018 and won the NOISE Music Mentorship Award in 2017 and just finished a Japan Tour late 2019. ​Wei Lung believes it is important to challenge assumptions and currently accepted methods in the drumming world so that we can open up new perspectives. To deepen our understanding of the subject and come up with better ways to play, teach, and express the wonders of drumming and music. To inspire and motivate anyone regardless of music background, experience, and age.